Cloud Twitter is the least stressful place on the internet. 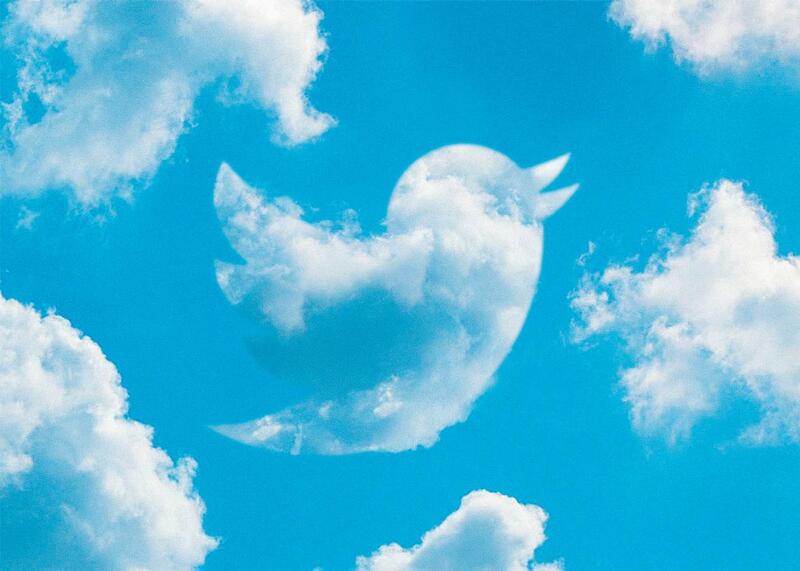 Welcome to Cloud Twitter, the least stressful place on the internet. Earlier this year, Tina Fey was criticized for a Saturday Night Live segment in which she recommended “sheet-caking”—that is, eating an entire sheet cake—as an alternative to protesting. Ignoring everything bad going on in our country, people were quick to point out, won’t make it go away. But the fact remains that the news, and especially the experience of keeping up with the news—through a never-ending stream of push alerts and Facebook and Twitter updates and frantic reloads of nytimes.com—can be overwhelming, and there has to be a way to escape it sometimes. Is it possible that maybe the solution, or at least part of the solution, a small part of it, is just … looking up? This brings us to Cloud Twitter, the informal name for a long-standing Twitter thread where a bunch of people who mostly don’t know one another share their pictures of clouds. Is there not something beautiful about a bunch of strangers sending cloud photos back and forth? It may just be the last remaining unequivocally good thing online. I talked to Oakland, California–based writer and editor Rahawa Haile, the unofficial ambassador of Cloud Twitter, about what it means to her. Slate: Tell me about Cloud Twitter. I started posting cloud photos a little bit more regularly. But the magical thing was that instead of just getting a handful of likes, people started to respond with their own clouds. So Cloud Twitter really grew because my friend down in D.C. responded with some of his clouds. And then a friend in San Francisco would respond to both of us. And then a friend from Seattle chimed in and then a friend from Stockholm and a friend from … people just started to respond from all over the place, mostly America, but all of a sudden we had a group of people who would just share nice clouds with one another, and it was a nice break in the monotony of trauma or all of the other negative things that people generally tweet about. And for a while it was limited to a handful of people because of character limits. I think that would be one of, like, six things that benefited from Twitter expanding the number of people you can you can include on a thread. How did you get interested in clouds? I’m from Miami, where we spend a great deal of time looking at the water, on the water, in the water. Clouds are just another extension of that. We’ve got great clouds; convection thrives in Miami. So the sky is just a constant delight. That never went away. Ever since I was a kid, my dad would insist on watching sunsets any time they happened. And that’s just a habit that I developed, a habit of constantly looking up. Apart from Cloud Twitter, what’s your relationship with Twitter? They recently sent me one of those anniversary emails. “Congratulations, you’ve wasted a decade of your life on this digital hellscape, way to go, announce it to your friends.” I think it was eight years? Oh God, that sounds so much worse out loud. I first got on Twitter after I moved to New York. I spent a fair amount of time going to concerts, tweeting about music, and just kind of chatting with people who also lived in New York and would sometimes also go to those concerts. Now it just makes me want to die. Twitter is great because when people ask me about Twitter, I can explain to them that it’s a place that I think about leaving constantly, and that’s all it is to me now. It’s pretty heartbreaking for me. How does Cloud Twitter fit into that? It’s really just a tiny slice of the internet. You have things like Flower Report. Every Sunday people share their flowers from over the week or that they saw on their walk or whatever. It’s similar to that. Or there’s Twitter Poetry Club, which happens every Monday, and people all over post the poems that they’ve been reading. I like to think of Cloud Twitter as Bodega Cats of Instagram for the sky. Our agenda is awe. Awe or calm, really, one or the other. There’s nothing else behind it. No one’s trying to monetize Cloud Twitter. There are no rules for Cloud Twitter. Sometimes people post photos without clouds! It was really funny, I remember this one exchange between Miles Klee and Alexander Chee, where I think Miles posted a photo that had a blue sky and a tree, and Alex was like, “This isn’t Tree Twitter,” and drew little clouds around the tree. It was just a really lovely break in my day. I think that’s necessary. Aaron Edwards wrote a really beautiful piece for the Outline about how group texts keep us whole, and in many ways, there are people who have reduced their time on Twitter and have instead created group texts that are private, where they share what they want to say with the people who they would have tweeted anyway. I think of Cloud Twitter as a group text, as a really lovely, very calming group text. There was a time when I would retweet many people’s clouds because I wanted my feed to be full of … Not Bad. I wanted a happier feed. If some black kid had been shot, I’m not going to be here being like, “Oh yeah, check out this altocumulus cloud.” But if I could see that people were struggling, sometimes I would just retweet one of the clouds that people shared. And I know some people appreciated that. But I also know that some people think I’m some really sappy, saccharine idiot. That’s fine. If you’re the kind of person who’s annoyed by a cloud photo, then I mean, all best to you. In my bio, I have “Cloud Twitter emissary,” and that’s not because I claim clouds but because I want people to remember that clouds are something that matter to me. I do want people to look up whenever they can. I remember telling someone once that there are few things that ask nothing of you from the day you’re born to the day you die, and I think a good sky is one of them. How has participation in Cloud Twitter changed? I think things organically come together and kind of fade away. I’m not someone who’s pushing Cloud Twitter; I’m not invested in its indefinite existence. People are a little less active on Cloud Twitter because people are a little less active on Twitter, period. If they’re not as active on Twitter, they’re not as active sharing their clouds. But I don’t think anyone has any hard feelings there. The peak was probably 2015. I was preparing for my hike, and I was also doing a little project called short story of the day, where I would post one short story every day that wasn’t written by a white man, and essentially made a little Twitter anthology of diverse short stories. During that time, I was like, I know I’m not going to have the time to write, I know I’m not going to have the time to read as much as I want to, because preparing for this hike was like its own part-time job. I wasn’t born knowing how to take care of myself in the woods. So what I did was I focused on short story of the day and on Cloud Twitter, and my feed for most of that year I believe was one or the other. Either I was sharing a short story or I was retweeting clouds. I think that it kept me sane. What makes a tweet-worthy cloud picture? Nobody’s going to yell at you if you send any kind of cloud. It could be a blurry photo, it could be whatever. The point isn’t do the best cloud photography you can; the point is: Did you look up and is this something that you felt was worth sharing? And if so, that’s enough for me. I don’t believe in good clouds, like I wouldn’t say there’s something that makes a good child. Clouds don’t need that kind of pressure. If I have a favorite cloud … I can tell you what I don’t like. I’m not partial to all-gray skies. I don’t want this layer of clouds where you can’t see individual ones. But it’s fine if someone posts that. It’s like a little diary. It’s like, “Hey, this is my day. Sometimes I’ve got good clouds to share, and sometimes I don’t, but I’m checking in, saying hi, this is what it looks like in my little corner of the world.” I think that’s charming, and I think that’s valid and worthy. If someone wants to join Cloud Twitter, how can one do that? I mean if you want to get a bunch of clouds from people all over the place, then respond to this thread. Right now, we’re at thirtysomething people, but I think Twitter lets you add up to 50. People also find out about Cloud Twitter and they just sometimes post a cloud and then CC me instead of responding to the thread. I can see how someone who just wants to share one cloud and be done with it doesn’t want to respond to the thread and then be included in this thread of hundreds of responses. But also, it doesn’t have to be about me. Start your own Cloud Twitters. Cloud Twitter is something I use as shorthand, but let’s be honest, I’m sure there are people all over the country who have their handful of friends that they share clouds with. So yeah, feel free to send me your clouds. I love clouds, I love getting clouds. I’ll give you a digital high five. But also feel free to post clouds just cause you want to. I think there was a line in the Cloudspotters’ book where it’s like, “Most cumulus clouds only last for 10 minutes before they tear themselves apart.” I think it’s really lovely to admire that kind of ephemeral beauty and to do it if you get the chance.